Building your business should be the biggest and most financially rewarding achievement of your working life. Whether at the end of the day you plan to keep, sell or close your business, it should provide you with the profit you need to fund your lifestyle and ultimately enjoy a comfortable retirement. 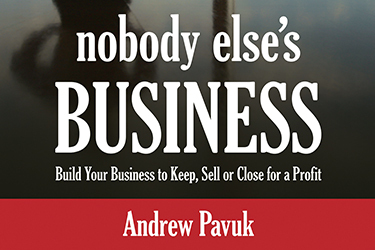 Nobody Else’s Business will help you plan to profit from your business – large or small. You will learn The Seven Deadly Sins of being in business and strategies that can turn your business into the wealth generator you need it to be. Nobody Else’s Business is the roadmap that will help set you and your business on the road to financial freedom. We are here to help you understand Commercial Law issues.